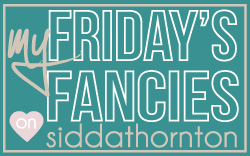 friday&#39;s fancies #15: new years eve. truth be told, had i been able to find the royal blue dress that i'm wearing for new years eve dinner out with justin, i would have given you a real life outfit post this week. however, as that was certainly not the case, i am posting quite the dream outfit this week, which i absolutely wouldn't mind wearing on my plane rides east. obviously, the leggings were chosen for comfort. and because friday's fancies is all about dreaming big, i thought i'd figuratively shell out over $300 for this diane von furstenberg pair. when i saw this vest, the first word that came to mind was cozy. the second was chic. you do the math. although not included, i would more that likely pair this vest with a gray, long sleeved shirt beneath, since it's a bit chilly. boots are rather requisite in this scenario, but i do indeed love these steve maddens. and the bag. oh, the bag. the bag has been sitting in the my items section on my polyvore, begging to be pretend-worn. and well, today is its day. this reed krakoff atlantique bag, while maybe not the most practical choice, is - without a doubt - the most indulgently gorgeous one. That bag really is lovely! I love this outfit, it's sooo country! And I am so happy that I found your blog through the link up, definitely a new follower! I'm in love with that vest. I agree, definitely cozy and chic. Seriously gorgeous!! And what's not to love about a bright blue purse? Fantastic. Hope you have a great NYE and flight! I love that chunky sweater and that blue bag is beautiful! Gorgeous travel outfit. I would love to wear it too! Gorgeous look, I love the vest it looks so cosy! That outfit looks so comfy cozy! I LOVE that vest and that bag! You're right that vest is cozy and chic! That is definitely the perfect traveling outfit! Happy new year and I hope your trip went well!